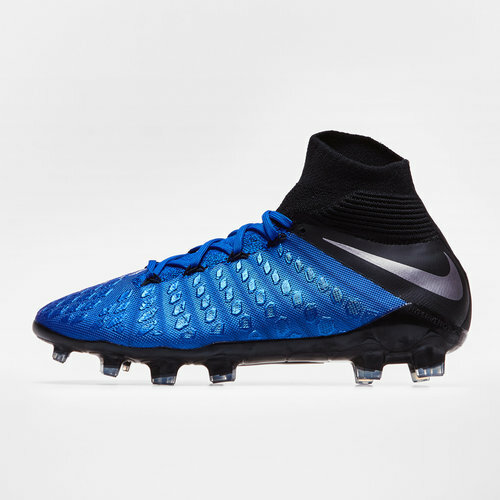 Dominate the game with deadly finishing and rapid movement when you lace up in a pair of Nike HypervenomPhantom III Kids Elite D-Fit FG Football Boots in Racer Blue, Black and Metallic Silver. These football boots come as part of the Nike Always Forward pack. The pack comes with an outstanding colour scheme. The boots are predominantly royal blue with black or silver branding. However, the Mercurials are a volt colourway whilst the Phantom Vision boots are black with royal blue and silver branding. This pack are already favourites with the US national women's football team who have already debuted them.